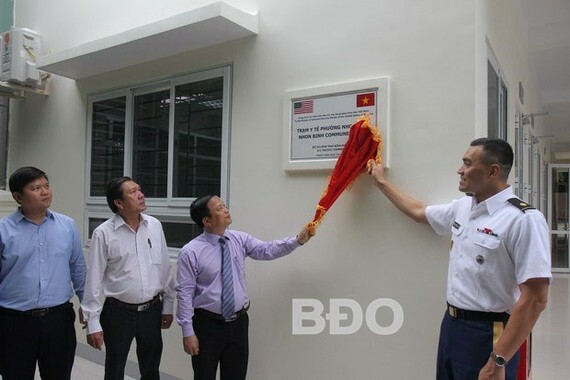 A ceremony was held in Quy Nhon city of the south central province of Binh Dinh on July 16 to hand over a healthcare station to the locality, a project funded by the US Pacific Command and the US Embassy in Vietnam. The project to upgrade the Nhon Binh healthcare station has a total cost of more than VND5.8 billion ($249,400). It is one of 31 facilities at commune level in Vietnam built with the financial assistance provided by the US, aiming to improve coastal localities’ capacity in responding to natural disasters. Along with providing healthcare services, the station can serve as a shelter for local residents in Nhon Binh in case of storms and floods, which occur frequently in the locality. Addressing the ceremony, Vice Chairman of the provincial People’s Committee Nguyen Tuan Thanh thanked the US for helping to protect public health in disaster-hit areas. He stressed the significance of emergency aid and evacuation in natural disasters, especially storms and floods amidst climate change. 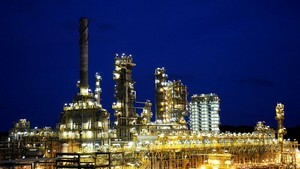 Thanh also asked local officials to effectively use the facility to ensure safety and health for local people.